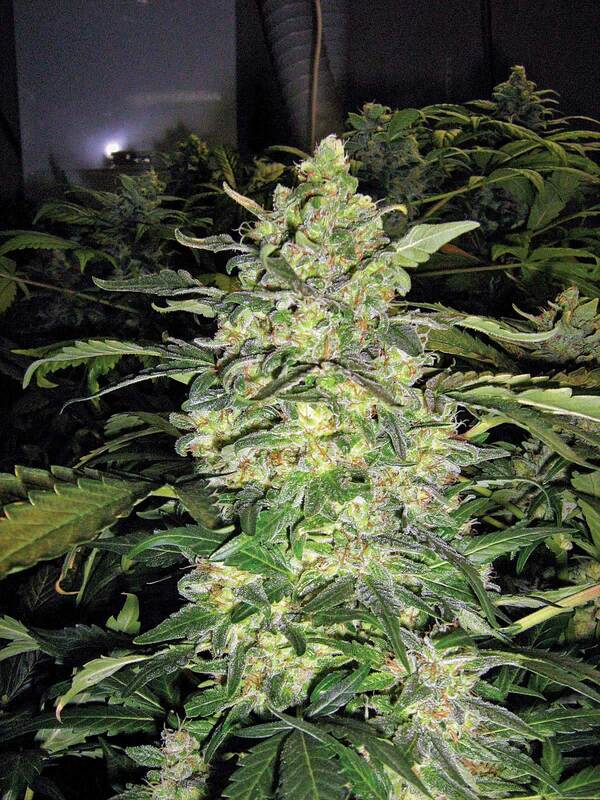 The smell and scent of cannabis buds is produced by plant chemicals known as "terpenes" and "terpenoids." Terpenes are produced by many types of trees, plants and flowers as part of their essential oils. Vitamin A is an example of a complex terpene that we’re all familiar with. The aroma and flavor of hops (which is considered highly desirable in some beers) also comes from the presence of terpenes. 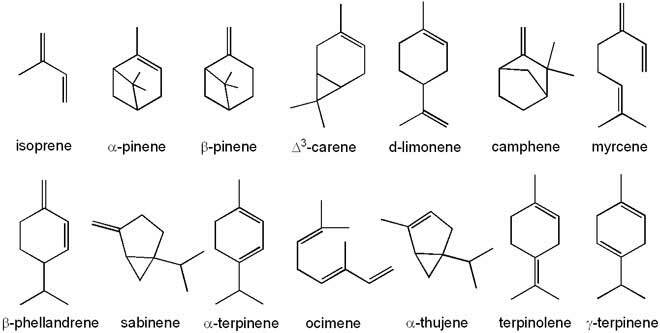 Terpenoids are closely related to terpenes (some authors refer to both types of organic compound as just “terpenes”) and are naturally found in all classes of living things. Terpenoids are created with terpenes are denatured by forces like oxidation. So for example, the process of drying and curing your buds will convert many of the terpenes into terpenoids. Terpenoids are a big part of what makes up the the scent of most flowers, as well as the flavors of many household spices like cinnamon, rosemary, cloves and ginger. The unique combination of terpenes and terpenoids produced in cannabis buds cause most of their odor and flavor as well. Terpenes and terpenoids may or may not actually affect cannabis potency. 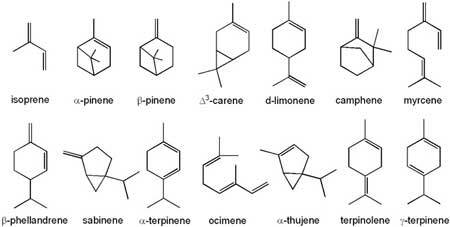 We know that these organic compounds are responsible for the taste and smell that is unique to individual strains. However, there are many growers who believe that terpenes and terpenoids can actually modify the effect of THC on your body, possibly making a smaller amount of THC feel more potent. More studies are needed, but if this is true than the terpene and terpenoid content may actually even affect the perceived potency of your buds, too. Regardless of exactly how it works, I believe that the combination of cannabinoids, terpenes and terpenoids found in cannabis buds cause an “entourage effect,” which means that the impact of whole cannabis buds may be greater than the sum of its parts (which may explain why so many people seem to get better results from using complete cannabis oil as opposed to a synthetic version of pure THC like the drug “Marinol”). Many growers believe that the presence of terpenoids may buffer the effects of THC to actually prevent unwanted side effects (like paranoia or anxiety) from occurring. In any case, each cannabis plant will tend to produce different levels of different terpenes and terpenoids, and this is what gives buds a specific taste and smell. Picking the right strain will play a big role in your final terpene content in your buds, but there are also many steps you can take as a grower to produce buds that smell the way you want. Note: Many cannabis “concentrates” like BHO (butane hash oil) actually do not contain high levels of terpenes and terpenoids. In fact, any extraction method that involves heating the plant matter will burn off many terpenes and terpenoids (which evaporate into the air at a lower temperature than THC). This is why many concentrates don’t have a strong or distinctive “cannabis” smell or flavor, even though they were derived directly from cannabis buds. 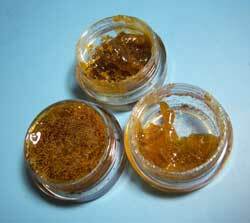 It may also partially explain why different types of concentrates have different effects even if they are derived from the same buds. The link below will teach you how to alter the terpene and terpenoid content of your cannabis plants during the growing process, improving the final taste and smell of your buds. Learn how growers can increase the terpene and terpenoid content of their growing cannabis buds!